Last Sunday, I loaded my Thorn Nomad with the panniers and went out for a short ride along the lake and the river. On the left side of the bike (non drivetrain side), I mounted the Arkel Bug pannier and the Arkel Utility Basket on the right. 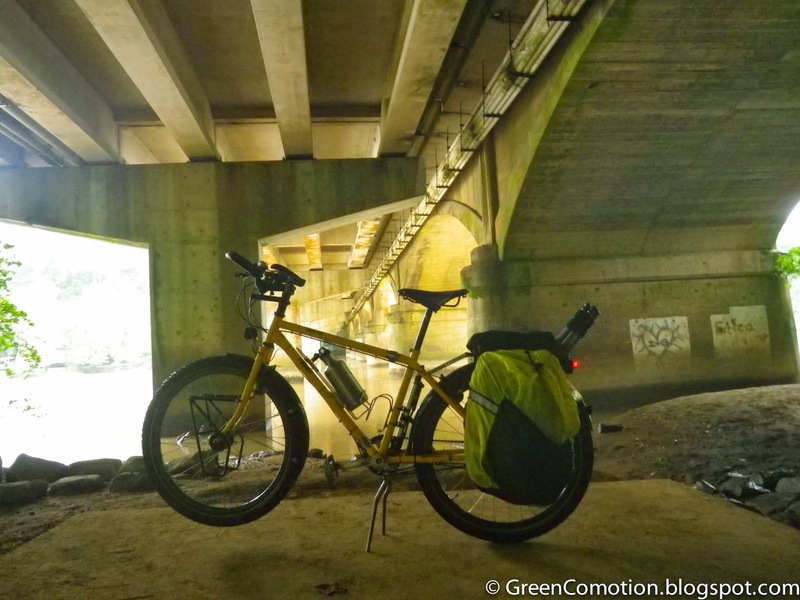 I needed both the panniers for this particular ride, which was a photography tour on my cycle. I stuffed the Arkel Bug with my old military Field Jacket and packaged telephoto and the wide-angle lenses in the pockets of the jacket. The Nikon DSLR, with its kit lens, were protected by the jacket as well and there was enough room in the Arkel Bug pannier for all this and a bit more. I put my toolkit and the Gitzo tripod in the Utility basket. And, off we went to photograph. This is my 'first loaded ride' in Georgia. I do carry a bunch of stuff in my Bromton's T-Bag, but I don't believe I have ever carried this much weight and rode on these hilly roads. The Rohloff made the entire experience quite enjoyable. Did I forget to mention it was drizzling all day Sunday? No big deal, but I do admit I am quite happy that I got out and cleared my mind.